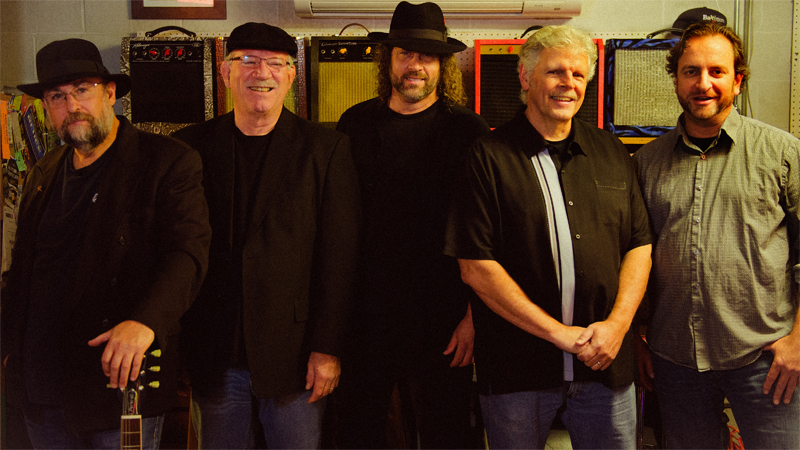 The Porkroll Project, from the greater Philadelphia, PA area is hard rocking 5 piece blues band who play a high energy blend of fresh covers and originals. The music is blues, but it's done up Porkroll style. Little bit of grease, good dose of funk, whole lotta drive and grind. Throw that together with some dangerous lead guitar and harmonica, powerful organ, and rippin' piano, and you have a recipe for a night where anything can happen! The band has a collective experience that runs deep and wide, having played together in various other projects for over ten years. They are well seasoned veterans of events such as the Philadelphia Jam on the River, the Annual Chameleon Club Blues Festival, the Philadelphia Folk Festival, the Riverfront Blues Festival, the Billtown Blues Festival, the Paoli Blues Festival and the International Blues Challenge in Memphis, TN. So if you and your crew are craving some hard rocking, foot stomping, hip shaking, earthquaking entertainment, give an ear to a heaping helping of The Porkroll Project. It's the right thing to do, and a tasty way to do it. It's Porkalicious! !